Kari Mah filed this request with the Department of Procurement of Atlanta, GA. Your Open Record Request has been forwarded to Ms. Constance Harris to review and process. If you have any questions, please contact her. I wanted to follow up on the following Freedom of Information request, copied below, and originally submitted on Nov. 30, 2015. Please let me know when I can expect to receive a response, or if further clarification is needed. Are you requesting a contract? I will need more clarity on the request. I would like to request the purchase order, contract, or proposal and any other documents related to a purchase from the vendor "Seamless Docs" or "Seamless Gov." Please contact me at the number below regarding the open records request you forwarded via email on January 15, 2016. JOIN US for the City of Atlanta's "Business Expo 2016"! *EXPLORE bid opportunities. *CONNECT with business professionals from an array of industries. *GROW your business by learning governmental policies and procedures for submitting successful bids. 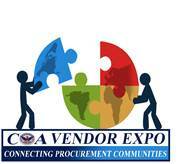 For more information, please visit http://procurement.atlantaga.gov<http://procurement.atlantaga.gov/>.